As an expert, you provide your clients daily with advice and expertise. You rely upon a thorough knowledge of the market. Thus, you always are in search of exact, recent and comprehensive information to correctly understand the evolution of a Site or of a Location. With reliable and recent data as well as tools adapted to your needs, Codata connects you directly to 700,000 Retail Locations on more than 7,700 Sites in ten European countries. Whether they are about an estimate of a property or a market study, your files should always be completed by relevant information and striking visual effects. 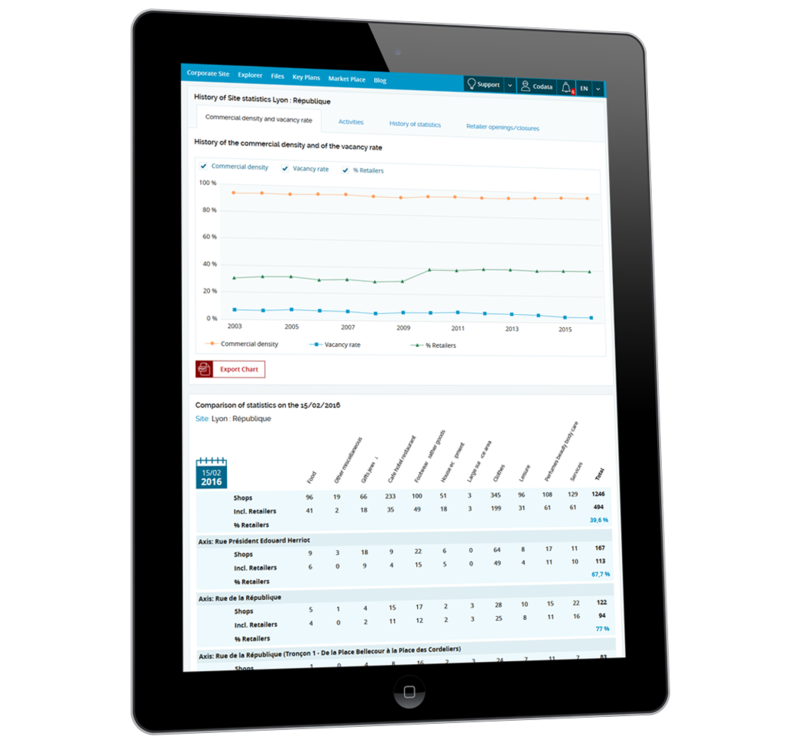 Consult shops statistics and socio-demographic statistics. With Codata, more than 700,000 Locations in ten European countries are at your disposal. If you use a GIS for your analyses, you must regularly add reliable and recent data. Few modifications may be registered regarding road network. However, regarding shops, the tenant turnover rate is on average 10% per year. Have access to data and features of 7,000 listed commercial Sites (all of them with an exact XY positioning, that was checked on the field). Even the Sites outlines are available. Apply various search criteria and filters in order to only select information you need. 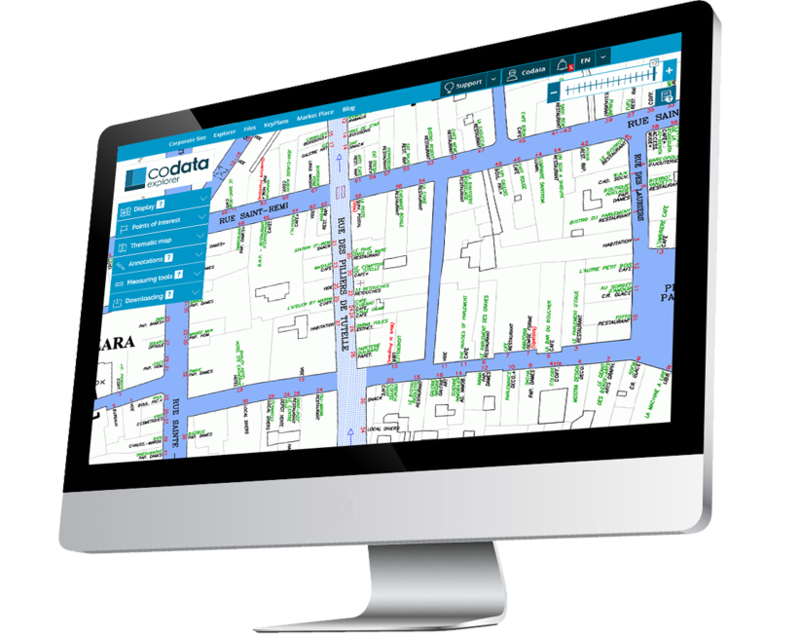 Codata provides you with data on ten countries to regularly update your Geographic Information System. Our data is accurately geocoded thanks to field censuses. The knowledge of the history of a Site or Location often enables to highlight little-known elements. Your conclusions will be all the more relevant. Consult the history of a Location via the pictures taken every year by our teams during their field censuses (available for download). 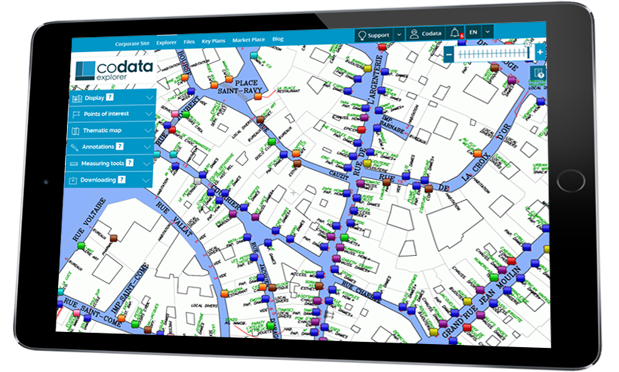 Codata provides you with an unrivalled opportunity to understand visually and in figures the history of a Site or a Retail Location in a few clicks from your office. Your studies and analyses rely upon a perfect market knowledge. The strengths and weaknesses of each commercial Site, the present retailers, the attractiveness of neighbouring agglomerations, all these elements are carefully analysed. 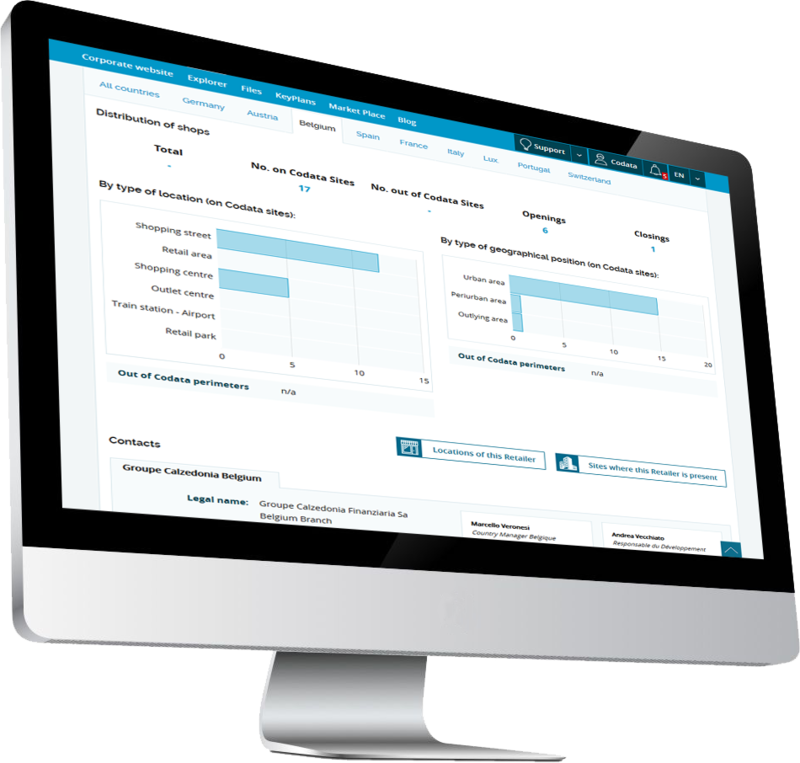 Codata provides you with the means to analyse the commercial offer of a Site in detail thanks to recently checked data on the field in ten European countries.